The Band of The Royal Regiment of Scotland are currently mid-way through their first ever National Tour marking the centenary of the end of the First World War. 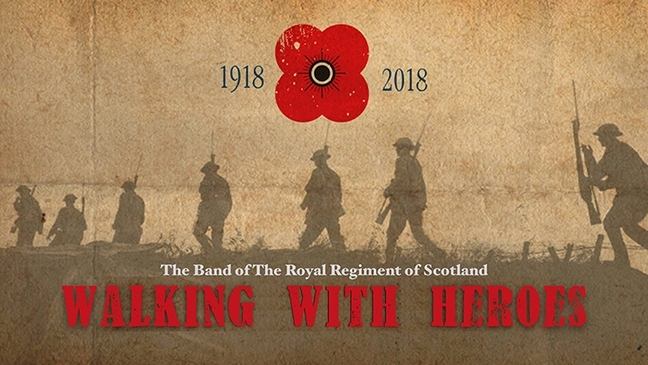 In February we spent a number of days in Edinburgh recording a commemorative CD with the Band which was produced in support of the Tour and all the funds raised will be donated to Poppy Scotland. The concert tour programme features a number of items from the CD but additionally the music is supported by photographic and video footage highlighting the development of the project. This video was produced by the media staff of the Band and we are grateful for their permission to use it. You can view the video by visiting our Facebook Page. You can learn more about the Centenary Tour by the Band of the Royal Regiment of Scotland here.